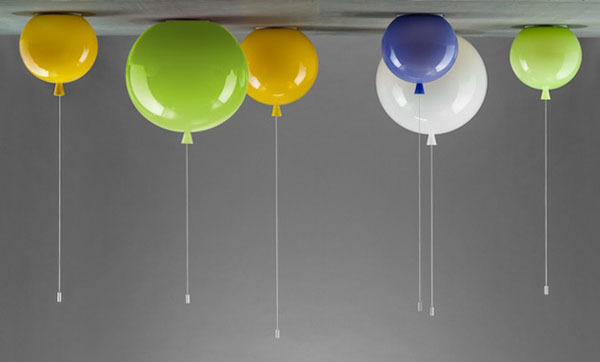 Balloons are universally happy, though they don’t last forever. 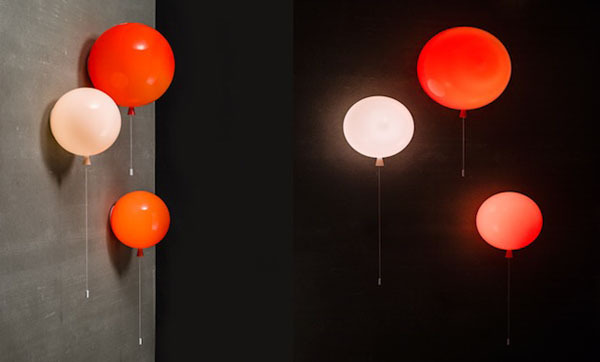 With John Moncrieff’s “Memory” design, these childhood inspired light fixtures are available to attach to your wall as a sconce or to the ceiling as a pendant to cherish daily. 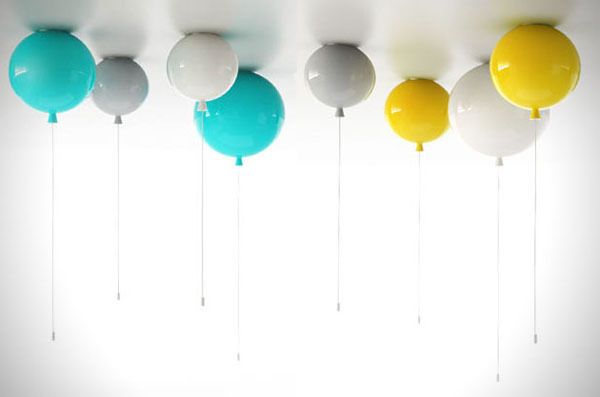 A great addition to a kids room, pop art inspired space or your favorite room in the house. “Memory” comes in all kinds of colored glass (opal, turquoise, pink, green and orange are just a few of the hues) and a couple of different sizes for some variance and hierarchy if you choose to group them. Great design, but Question: How does this fixture really attach to the wall/ceiling?